The Carnaby Chino are a Barker's favourite. We keep them fresh by updating our range of colours each season. With added elastane for a more comfortable fit and a slim leg cut. Garment Dyed to give that soft lived in feel, with natural colour variation over time. The Carnaby is the ultimate in versatility - easy to dress them up or down without having to try too hard. Q: How is the fit different to the Kingly Chino? 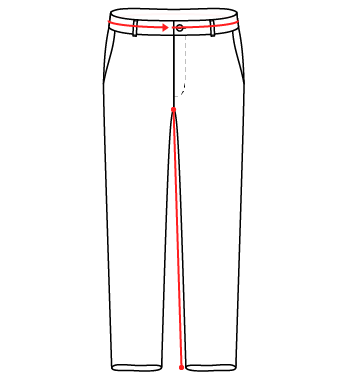 A: The Carnaby Chino is our Standard Fit of Chino, compared to our Kingly which is the Slimmest Fit.